Morten and Inez attended the Norwegian premiere of Harald Zwart’s new movie The Mortal Instruments: City of Bones in Fredrikstad last night. “Harald is above all very talented, which he has proven time and again. But he’s also got an incredible drive and an impressive staying power. And they’re also a great team, Harald and his wife Veslemøy. It’s all very impressive, and that’s why I’m here tonight”, Morten told TV2. A few of the actors from the movie were also present in Fredrikstad; Lily Collins, Jonathan Rhys Meyers, Jamie Campbell Bower and Robert Sheehan. 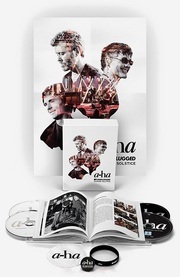 Earlier this month, on August 3rd, a-ha fan Ari Benjamin met Morten in Kristiansand. The story of his meeting with Morten can be found on his blog at aribenjamin.net. Magne, who will be showing his Norwegian Wood exhibition in Oslo next month, also appeared in public recently. On August 16th he attended the Moods of Norway 10th anniversary celebration in Oslo Spektrum, where the fashion label presented its latest collection called Pop Factory. Magne and Heidi could be seen in the audience in the live webcast from the show, where they enjoyed the Moods of Norway house band – featuring Matt Sorum (drums), Nick Perri (guitar) and Maya Vik (bass). Next Sunday, August 18th, Morten will once again be performing with his relatives in the Harket Choir at the annual fundraiser meeting to support Haydom Lutheran Hospital in Tanzania. The fundraiser takes place in Vennesla in Southern Norway, outdoors in a garden owned by Morten’s uncle. Several hundred people show up each year for the event. 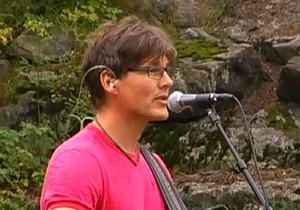 Morten has previously performed at the Haydom fundraiser in 2003, 2004, 2007, 2009 and 2011. In 2009 he also did a mini solo-concert, in addition to singing with the Harket Choir. Update, August 19th: Although Morten was scheduled to take part, he did not appear at the Haydom fundraiser after all (for reasons unknown). But the Harket Choir performed without him and 104000 kroner was raised for the Haydom hospital.